Poll: What Implements are you Using to Clear Snow? Snow removal. 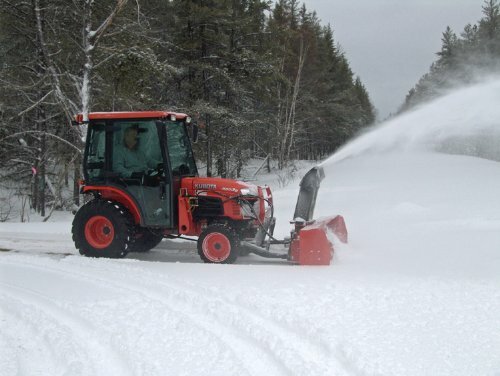 One of the handy things to do with your Kubota in the winter time! We’d like to know what equipment you are using to clear that driveway, sidewalk, parking lot or where ever there is snow that you would rather there not be. Check off the pieces of equipment you use below, and then fire up the Kubota and put it to work!